The Yellamma Devi Temple is located in Saundatti taluq, five kilometers away from Saundatti town. Saundatti itself is 70 km away from Belgaum city. The Yellamma Temple attracts people from all over Karnataka and neighboring states. During the Yellamma Jatre, especially the one held during the month of Margasira, the number of attendees normally crosses 10 lakhs. The Jatre is also known for the practice of dedicating girls to the Devadasi system. Originally, these girls were supposed to devote their life to following the arts of song and dance for the temple god. Later, these girls led the life of concubines to the local rich. Still later, their life degenerated to becoming prostitutes. This practice has been officially banned. But the Yellamma Jatre is more about the celebration of the power of women in the form of Shakti. During this Jatre, an idol of Yellamma Devi is taken out in procession and she is worshipped as Goddess Shakti. People from Karnataka, Maharashtra and Goa gather here in huge numbers to witness the Jatre and worship Yellamma Devi. Yellamma Devi is associated with Renuka, the wife of Jamadhagni and the mother of Parashurama, whose story is told in the Puranas. Here, she is worshipped as Renuka Devi or Yellamma Devi. Yellamma Devi is also identified with the Goddess Kali. Kali is known as the punisher who destroys evil-doers, but she is also the kind mother who showers love and blessings on her devotees. It is in this aspect that she is worshipped here. A Jain inscription in the temple, in Sanskrit and Kannada, refers to the Rashtrakuta kings Krishna and Vikramadithya. 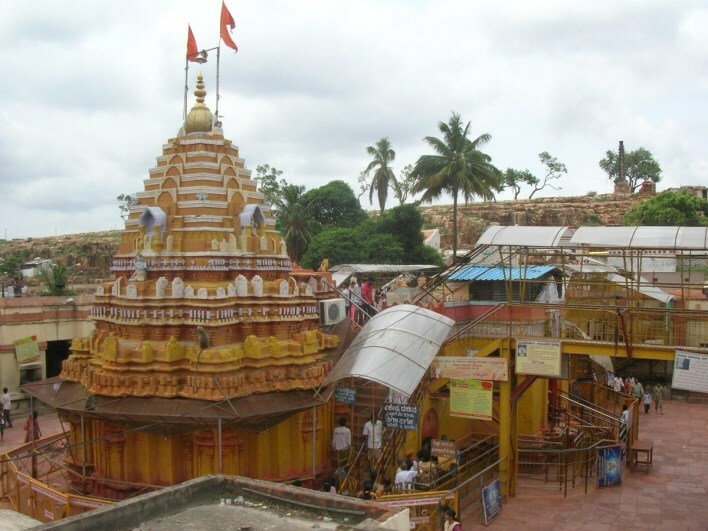 This temple was constructed in 1514 by Bommappa Nayak. It is built in a combination of Chalukyan and Rashtrakuta styles. There are smaller temples for Ganesha, Mallikarjuna, Parashurama, Eknaath and Siddheshwara in the temple courtyard. The Government now takes care of the temple management. Hubli and Belgaum are the nearest airports, while Dharwad is the nearest railway station. Saundatti is connected to these places by KSRTC buses.